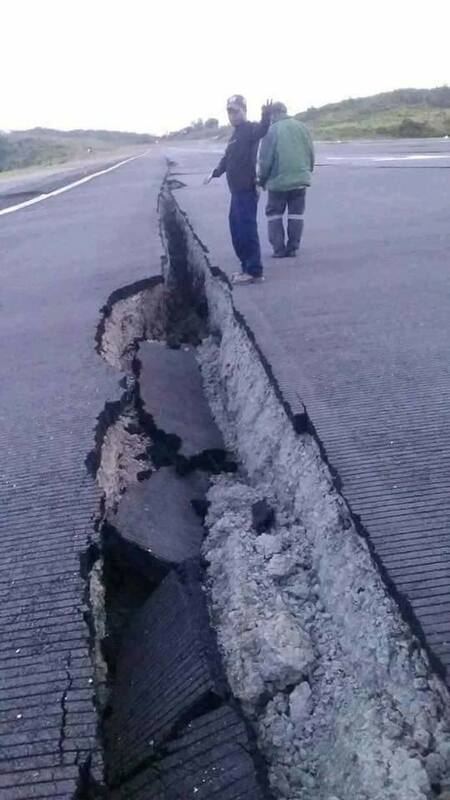 Four major projects have shut down operations in the highlands region following the 7.5 magnitude earthquake that shook the region in the early hours of yesterday morning damaging vital infrastructure. PM Peter O’Neill who visited parts of the affected areas in Southern Highlands Province and Hela today said projects affected by the quake included the Oil Search project in Hides, PNG LNG project in SHP and Hela, Ok Tedi and Pogera Gold Mines. "The closure of operations in these project sites will affect export revenue for the country until major infrastructure is restored." O’Neill also received unconfirmed reports of at least 20 lives lost in four of the provinces affected after an assessment today with several members and governors of each provinces affected by the earthquake. He said PNG Defence Force personnel and National Disaster officers are in the affected areas monitoring and assessing the situation. He said priority will be given to schools, hospitals and the projects affected for normal operations to commence. He added that properties worth in the millions have been damaged and assured that the government will meet the cost of the damages from the earthquake.